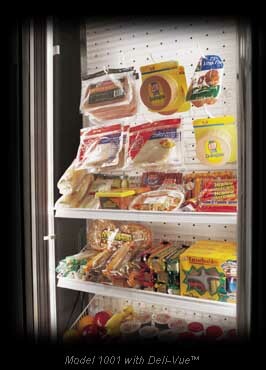 Polar Star offers a variety of doors in a range of sizes: Infitting, Overlap, Glass Display, Sliding, Bi-parting, Electric and Replacement doors pre-hung on frame. 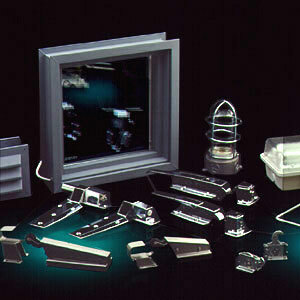 The selection of the appropriate door for your application is extremely important to the efficiency of your operation. We are pleased to take the time and care to assure that your doors are the appropriate size and type to properly accommodate the temperature and traffic necessary in your particular walk-in. The doors manufactured by Polar Star are designed to be durable with a gasket selection that allows for a positive, airtight seal. 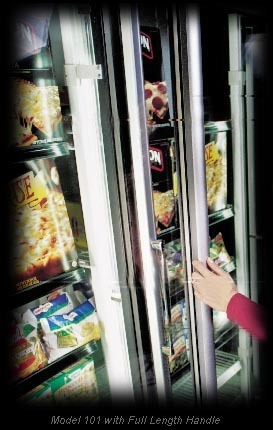 This minimizes heat infiltration commonly found with poorly sealed doors. Our replacement swing doors are pre-hung on a front frame and can be manufactured to accommodate the size of an already existing opening. 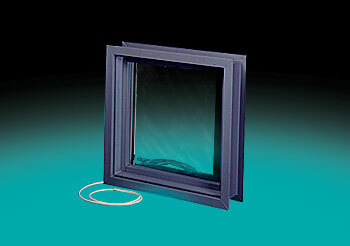 Back frames are also offered for some installations. View windows are available as an option in a variety of sizes. The track system on our manual sliding doors uses ball-bearing trolleys. 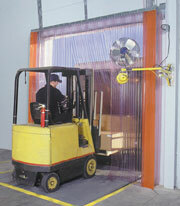 These trolleys reduce the friction which often causes a large sliding door to be difficult to operate. 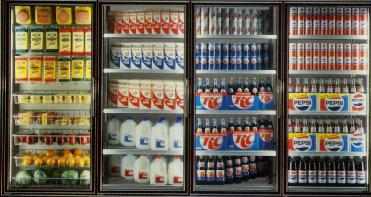 In some cases, due to space or other constraints, a bi-parting sliding door may be your best solution. This overlap door is designed specifically for applications that require extremely low temperatures, such as -20° F. With the heavy duty hinges and two additional edge mount latches this door provides the best possible seal to guard against costly air leaks. A variety of sizes, styles, and finishes in glass display doors and windows is offered to meet your requirements and tastes in design. 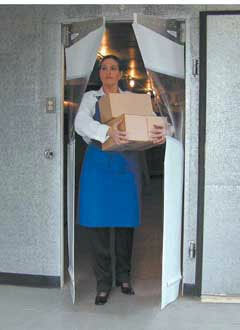 This door is designed specifically for an ice bin application. The removable inside panels covering the entrance of this swing door provide for maximum ease in accessing the ice within the bin as the level of the ice changes.